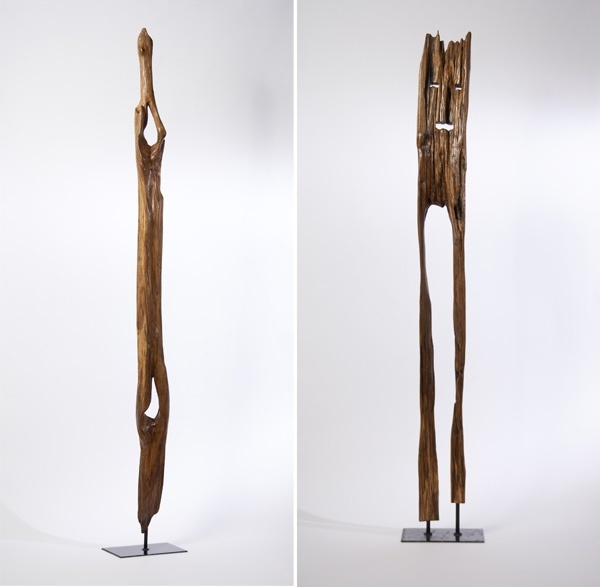 Wood Sculptures by Luis Bueno | Definitive Touch - Men's Contemporary Style. Luis Bueno is probably one of Spain’s most appreciated sculptors. He has worked with wood for more than decade, and today he presents his latest artwork, which features pieces of wood shaped and changed by natural forces, such as storms or water. Each piece has been exposed to the elements for more than 100 years and reflects a unique personality and history.